More and more people are relocating to Markham and it comes as no surprise. It’s close to Toronto, housing is more affordable, and it’s very safe. It is so appealing to newcomers that it has become Canada’s most diverse community, according to Statistics Canada. In the last five years, many immigrants from China and Southeast Asia have been buying up houses and moving to Markham. Markham is a top moving destination in the Greater Toronto Area. Just 40 kilometers from Toronto (about 45 minutes’ drive), Markham is an ideal relocation spot for families looking for more affordable homes near Toronto. While condos are the only choice for most homebuyers in Toronto because detached homes are way over the $1M mark, your dollars could get you more choices in Markham. Adding to Markham’s strong appeal to newcomers is its vibrant economy. This city of over 355,000 people is recognized as one Canada’s hi-tech capital with over 1000 technology companies providing thousands of jobs to residents. Over 400 headquarters of Canadian companies also call Markham home. Need Help for Moving your Home or Business to Markham? ✓ How far are you from Markham? ✓ How much do you need to move? ✓ What is your moving expense budget? Not everyone can do a do-it-yourself move. It’s not easy to lift and load heavy furniture, boxes of books, and appliances. We can help you find the best moving solutions for household or office moving to Markham. Take advantage of free moving quotes from 5 moving professionals to compare moving costs. There’s no obligation on your part! Markham draws many businesses to relocate to the area, the largest concentration of which are hi-tech companies and multi-national companies. Its commercial and industrial realty taxes, at times as much as 40% lower than other GTA municipalities, also attracts many businesses. Professional moving companies in Markham offer efficient commercial or office moving services that are designed to minimize business interruption at reasonable prices. Your business relocation can include professional packing and crating, disassembly and assembly of furniture, loading and unloading, and expedited delivery of your cargo to your new location. Professional movers have a fleet of trucks of different sizes to accommodate small or large moves. If your company needs to relocate key personnel, professional movers also offer complete corporate relocation and relocation packages for employees that can be tailored to your needs. Every residential move is unique not only in size and budget but also with customer preferences. Consequently, professional movers offer flexibility to customers with a wide variety of moving services that can be customized. If you want a completely stress-free move, you can delegate everything to your movers. They can do all the packing and transport of your home’s contents. Generally, your movers will load all your contents to the moving truck and deliver to your new home. In other cases, customers who are in-between homes will require the cargo to be delivered to temporary secure storage facilities for delivery at a later time. You can pick which services you need to make your move easier and within your budget. Are you moving for the first time and wondering what’s the best way to move to Markham? It pays to understand your moving options so you can pick the right solution for your own relocation. Local moves are generally straight-forward. Whether you are moving from an apartment or condo, you can expect that your household goods will be loaded and transported within the same day. If you hire a moving company, your moving charges will be computed with hourly rates, depending on the size of your truck and the number of men needed. Movers are able to tell how many hours it will take to move the contents of your home from an in-home assessment. Markham moving companies offer reasonable hourly rates for a moving truck with 2 or 3 movers, moving truck only, or moving labor only. Making a long distance move to Markham works differently. For example, if you are moving from Montreal to Markham (about 531 km), your moving cost will incorporate the distance of travel and the weight of your goods. Movers account for fuel costs and driving time as well as other optional moving services you need such as professional packing services or storage. If your move includes delicate or heavy equipment such as a baby grand piano or a pool table, movers may also add these charges to your moving bill. Canada is a big country. For long distance moves of greater distance, such as moving from Markham to Vancouver, or from Markham to the USA, it could take anywhere from a couple of days to a week or more to deliver your load. Your overall experience – quality of service, speed of delivery, cost of your relocation- will all depend on the moving company you hire. It is recommended to compare multiple moving quotes and interview potential movers before you make your choice. If you are not in a rush to receive your cargo in your new destination or simply want to cut down on moving expenses, you may also want to consider a moving container. Portable moving containers are cheaper, semi-DIY moving options offered by many professional moving companies. It gives the customer the option to pack and load the container. You can choose the size of moving container you need and for how long you want to rent it. When you are done packing, the moving company will deliver it door to door to your new address. Delivery takes longer than the regular moving service so it is wise to plan how you’ll make do without your personal belongings. We know you may have more questions so we have prepared answers to top 10 moving questions for your reference. Some moves are a bit more complicated such as when you don’t want to take all your belongings or just want to move a piano or a few pieces of furniture. Some large moving companies may have minimum weight for transporting household goods cross-country or abroad (usually 2000 pounds). But there are many independent movers who gladly accommodate small loads. Sometimes, even a single item or a small load can be difficult to move because you don’t have the manpower or a suitable vehicle to transport it. If your load is below 1,000 pounds, you may consider other options such as moving containers or consolidated moving services to save on moving costs. Moving a piano to Markham? Not all moving companies specialize in transporting such a valuable item. You can check out tips for moving a piano to Markham and how to hire a piano mover to handle your relocation. Other special items that require professional moving services include moving a pool table, a hot tub, antiques, and art pieces. 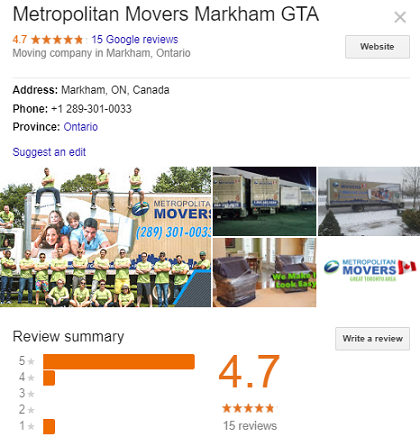 Markham movers specialize in local and long distance moving to Markham. With many years of moving experience under their belt, they are in the best position to anticipate and solve any problems that would cause delays or problems with your relocation. Where are you moving in Markham? Markham boasts of charming and unique neighborhoods. These charming neighborhoods see dozens of moves on a daily basis all year round. It’s a good idea to book your preferred moving company ahead of time. Unionville is a suburban village in Markham about 33 kilometers northeast of downtown Toronto. Walking downtown is like traveling back in time. It is a popular residential area because taking the Go Train from Unionville to Toronto takes only 40 minutes. Movers in Markham know the ins and outs of Unionville and how to avoid traffic. This community in Markham consists mostly of single-family homes. Most residents rely on cars to get around although there are available bus services from York Region Transit. If you need to find a mover near German Mills, request free moving quotes from our partner movers to save time and money. This is a more recent community in northeast Markham with semi-detached homes, detached homes and townhomes. It is a walkable neighborhoods with pockets of parks featuring man-made and natural attractions. MoneySense Magazine ranked Cornell # 5 top neighborhood in the GTA. A professional mover can help relocate you to Cornell in Markham with less stress and reasonable costs. This Markham community of single family homes and townhouses is a much-sought after neighborhood. If you are moving to this neighborhood from Toronto or anywhere in the GTA, your friendly moving company will ensure your household goods arrive safely and in the same condition. Victoria Square is modern Markham community. Majority of commuters to this area prefer the regional roads and Ontario highway 404. A Markham moving company would know exactly how to get to Victoria Square using the shortest and safest routes. Moving to another neighborhood in Markham? Don’t worry because our partner moving companies know Markham like the back of their hand. Request for 5 free moving quotes to find the right moving company for relocating anywhere in Markham. 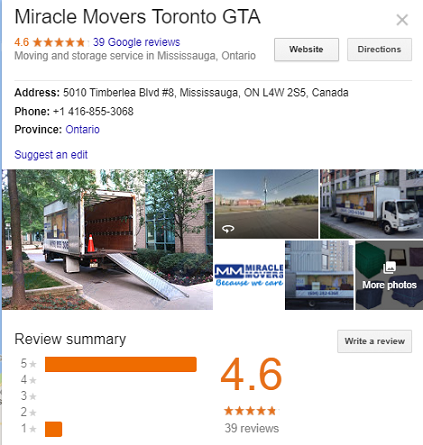 We know you want to find a good mover for relocating to Markham. Whether you want the lowest moving rates or prefer to high premium or first class movers, we can connect you with Markham movers easily. Below are 10 Markham moving companies who can relocate you anywhere in Markham. This name is well-known nationally as a moving company. The Toronto east branch is operated by FGI, the largest franchise within the AMJ Campbell network. The company specializes in household and commercial moving, international moving, warehousing, and self-storage. 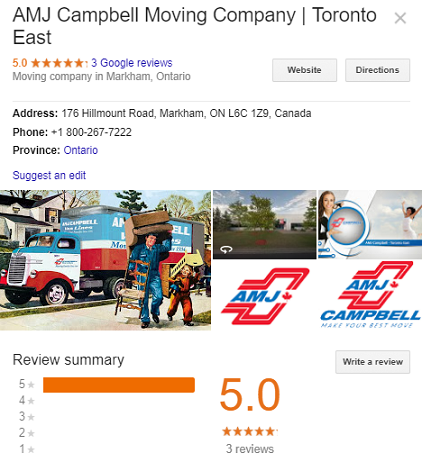 AMJ Campbell has complete and affordable moving services that are designed to eliminate stress from moving. They are qualified and equipped to deliver a local or long distance move to Markham. This professional moving company in Markham services the Greater Toronto Area. It delivers excellent residential and commercial relocation services. As a GTA mover, it offers local, long distance, and even international moving services with complete packages that include packing, pick-up, delivery and unpacking. The company also provides piano moving services in Markham, senior relocation services, office moving, and freight services. This moving company aims for total customer satisfaction and don’t mind if customers negotiate the price of a move. 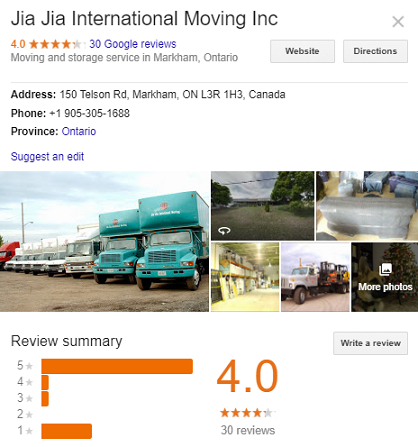 This moving company is one of the biggest in Markham. It owns a fleet of trucks of various sizes and types to suit any kind of move. Founded by a Chinese immigrant, the company espouses traditional Chinese culture and strives to deliver superior residential and commercial moving services. The company provides local moving, long distance moving, international moving, piano moving, and house or office moving. They believe in transparency of moving rates and publish rates that start at $95 for 30 ft. truck with 2 movers or $85 for a 22 ft. truck with 2 movers. They require a minimum charge of 3 hours plus 1-hour travel time. For long distance moving to or from Markham or anywhere in the GTA, they charge $2.25 per kilometer for a 28’ flat bed with 2 movers or $2.00 per kilometer for a 24-30’ truck with 2 movers. 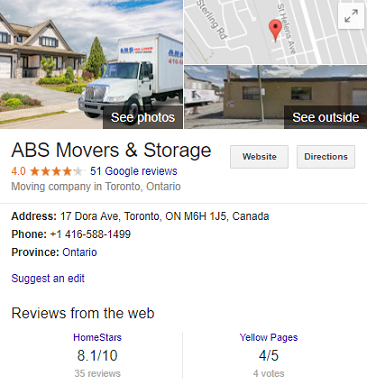 It is a member of the Canadian Chinese Chamber of Commerce, the Canadian Association of Movers, and has an A+ rating from the Better Business Bureau. This is a 5 star residential and office movers in the Greater Toronto Area. They serve Markham and all of the GTA for household moving, office moving, piano moving, and can handle any move from condo, home, or apartment. They also accept last-minute moves and provide professional packing and unpacking services. Their moving rates start at $65 per hour for truck with one mover plus travel time or $85 for truck with 2 movers plus travel time. An additional mover costs $20 per hour. 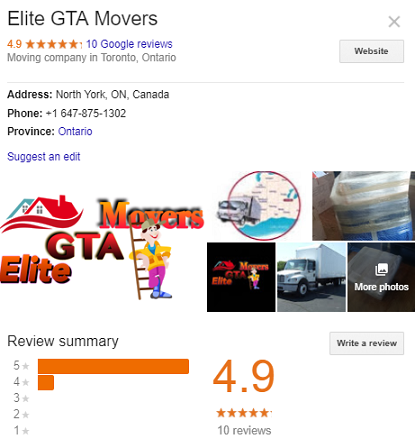 As you can see, this moving company may be 5 stars but their moving rates are certainly reasonable. Moves within Toronto have a fixed travel charge of 1 hour (30 mins to get to location and 30 minutes after completion). This professional moving company has over 3 decades of experience in the industry. 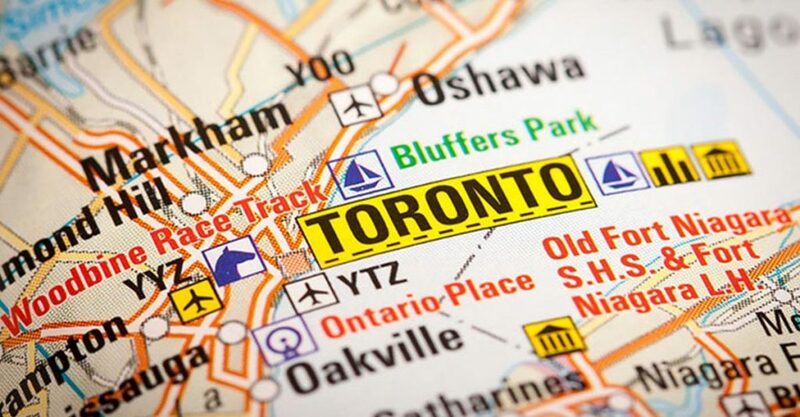 It serves all of the GTA including Markham, Mississauga, Brampton, Oakville, Etobicoke, Caledon, Vaughan, and neighboring cities and towns of Toronto. Since 1988, the company has been providing reliable residential and commercial moving services and accepts last minute and emergency moves in the GTA. If you move in the middle of the month, the company can offer discounted moving rates. The company also offers secure and affordable storage services. This moving company started in 1923 as a Toronto family-owned and operated mover. It changed management in 1975 and became an agent of North American Van Lines. It is a long-running long distance moving company offering one-on-one assistance in planning an efficient household or office move. It handles relocation from Toronto to Vancouver, Victoria, Calgary, Montreal, Halifax, and anywhere in Canada or the USA. It is a member of the Canadian Association of Movers and accredited with the Better Business Bureau. 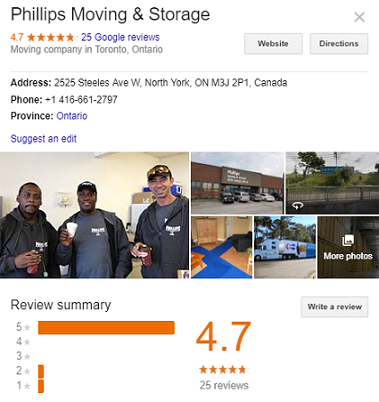 This full moving and storage company in Toronto serves the whole of the Greater Toronto Area. It is a fully licensed and insured moving company with courteous and professional movers, modern and equipped moving trucks, and complete moving supplies. They deliver long distance moving services in the GTA and across Canada. Long distance moves are charged by volume. The company provides many extra services such as packing and unpacking, assembly and disassembly, appliance servicing, and storage. Their moving rates start for as low as $59.99 per hour. With its nationally recognized partnerships, hiring this professional moving company can save you time and money. This professional moving company is in the center of Toronto offering high quality moving services at competitive prices. If you need to move from Toronto to Markham, Richmond Hill, Waterloo, Cambridge or anywhere in the GTA, this moving company can do the job. It offers a variety of moving services including household moving, commercial moving, packing and wrapping, loading and unloading, and storage. It can also help with piano or pool table moving. 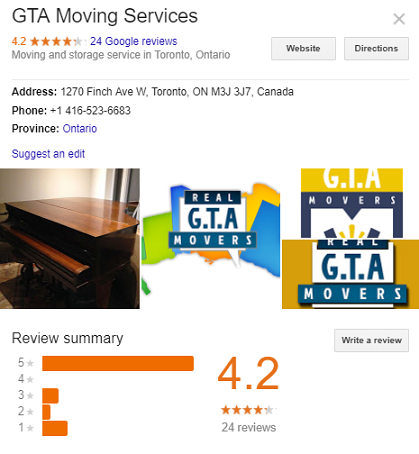 You can get a topnotch moving experience at affordable prices by hiring a good GTA moving company. This professional moving company in Toronto is available for moving in the GTA, to Markham, or anywhere in Ontario. With 2 decades of moving experience, it is equipped and knowledgeable in household moving, office moving, long distance moving, or across internationa borders. It aims to deliver a hassle-free and timely moving service laid out based on your preferences. It is a member of the Canadian Moving and Storage Network and is accredited with the Better Business Bureau. It has locations in Toronto, Calgary and Vancouver. Their minimum weight for long distance moves is 450 kilograms (1000 pounds). Depending on the distance, cargo may arrive from 8-14 business days from departure date but cargo bound for the US or North american cost could take up to 21 business days. As one of Canada’s leading relocation companies, this company provides specialized moving services for homes and businesses. They are skilled in apartment moving in Markham, condo moving, and all other types of moves. It offers packing services, piano and pool table moving, cargo delivery, office moving, home moving, storage, and garbage removal. 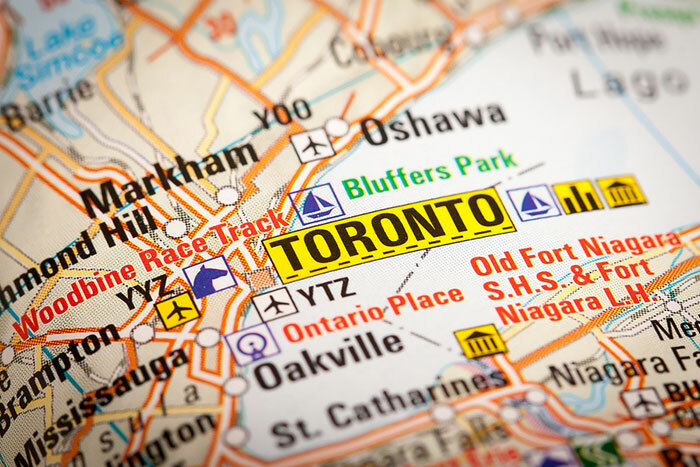 Smart Moves has locations across Ontario including GTA cities for moving to Barrie, moving to Richmond Hill, Mississauga relocation, moving to Vaughan or Oshawa, Ajax, and more. 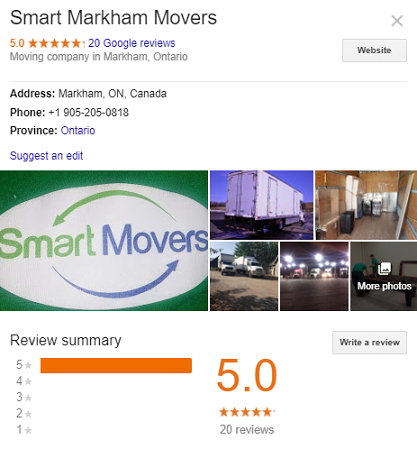 For moving to Markham, the Greater Toronto Area, or across Ontario, you can count on professional movers like Smart Movers to relocate you successfully. When hiring a moving company, not any moving company will do. There is a right fit, meaning one that will best execute your move based on your preferences and your budget. There are many factors to consider when hiring a moving company. It is also advisable to back-check a moving company with the Better Business Bureau to see company rating and outstanding customer disputes. Sometimes, though, you can find a great moving company but they could be unable to accept your move due to unavailability for your moving date. It therefore pays to book your moving company in advance. 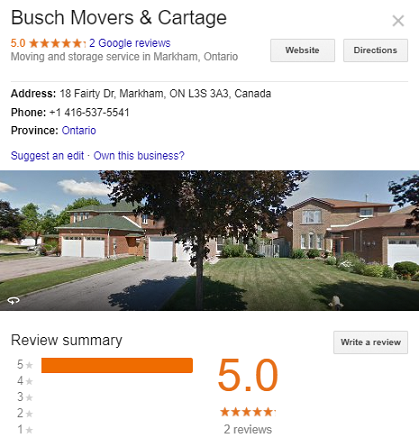 You can get started with your search by requesting for your 5 free moving quotes from reliable Markham moving companies. 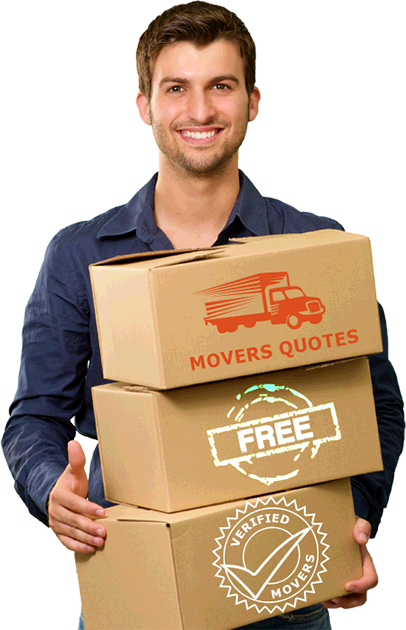 Free and no obligation moving quotes only from reputable moving companies– that’s our guarantee. For moving to Markham or anywhere in Ontario or Canada, take advantage of our partner moving companies’ high quality services and reasonable costs.